Hough High STEM team: New national champs! May 10. Hough High School’s “Iditarod Motorsports” won first place in the Ten80 STEM League National Finals at Rensselaer Polytechnic Institute in New York. The hometown team, which competed against 22 other high school teams from across the country and three teams from China, also took first place in Racing Events and second place in both Rover and Graphic Design. The competition is developed and hosted by Ten80 Education, an organization dedicated to expanding opportunities for students to apply science, technology, engineering and math skills outside the classroom. STEM is based on the idea of educating students in four specific disciplines—science, technology, engineering and mathematics—in an interdisciplinary approach. Rather than teach them as four separate and discrete subjects, STEM integrates them with the help of real-world applications. 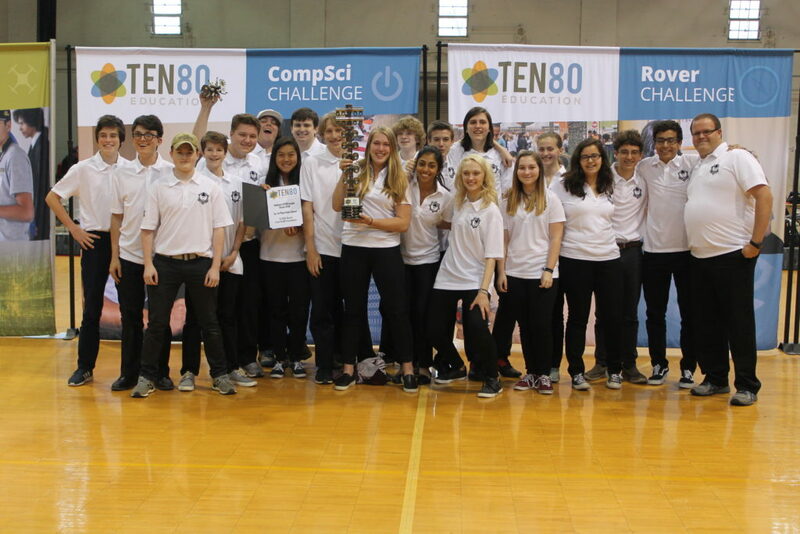 Hough’s STEM students worked throughout the year on various projects ranging from modifying and racing remote-controlled cars; coding an autonomous rover and robo-car; data projects based on improving the vehicles, using clean energy and aerodynamics; marketing the team and logo development; and community outreach. Hough’s team qualified for the Finals last fall by winning the regional competition held near Columbia, SC.